A contemplative person is more patient, peaceful, kind and cheerful. 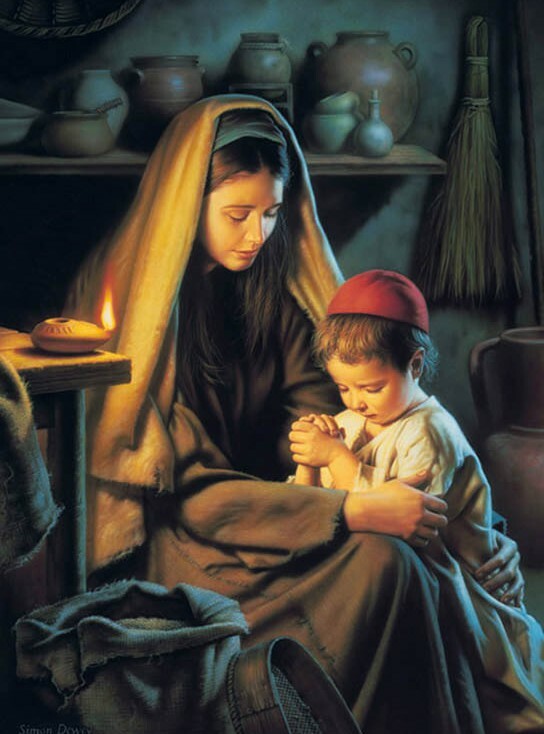 Picture shows the young Jesus praying beside her mother. Jesus promised the apostles, and us, that he would be with us always, until the end of the world. God is with us in many different ways. Like St Augustine, we often have to say that God was with us but we were not with him. In order to grow in contemplative life it is important to live well our regular times of prayer and space them out throughout the day. We can intersperse our regular times of prayer with aspirations. A contemplative person is more patient, peaceful, kind and cheerful. This entry was posted in Meditations and tagged aspirations, contemplative life, John Flader, Meditation, podcast, Prayer, presence of God, St Augustine, St Josemaria on August 29, 2018 by frjflader.